Keywords are words or phrases searched for by people on Google. For example “hair salon”, “personal trainer” and “best online booking system” are all keywords. Arguably this is also the most important step; keywords will form the foundations of your campaign. Discover and choose the right keywords and you’ll bring in new customers aplenty. Pick irrelevant, wrong, or highly competitive keywords and this exercise could end up being a costly mistake. For smaller businesses with a limited budget, you’ll need to choose keywords carefully and strategically to ensure you keep costs low and of course, maximise the success of your campaign. To discover keywords and to get an indication of how competitive they are, first head on over to Google’s Keyword Planner tool. Using this tool, you’ll be able to input keywords or phrases, Google will in return provide you with search volumes along with the estimated CPC (Cost Per Click). Each and every keyword will have a CPC, the price is dictated by how many and how much your competitors are willing to bid for the term. 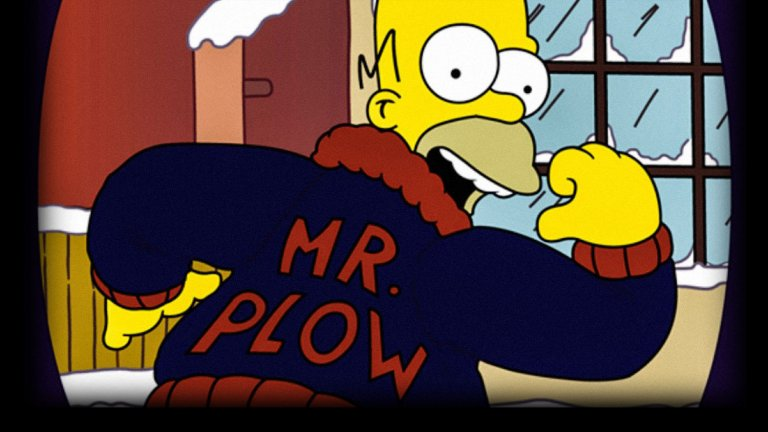 If your business offering is seasonal or is heavily impacted by seasonality (I’m thinking of Homer Simpson as Mr Plow), then you’ll find Google Trends will provide further clarity and help greatly when selecting keywords. Now that you’ve chosen keywords which are going to propel your business to new heights, you now need to consider match types. Broad match, this is the default match type. If you use broad match you will undoubtedly reach the largest audience, although, be careful, as this is not always the best approach, as you will likely be covering many variations, some of which may not be relevant to your product or service. For instance, as Google puts it: the keyword “bicycle bell” could cause your ad to show if someone searches for variations like “bicycle bells”, “buy a bell for a bicycle” and “bell reviews for bikes”. In summary, with broad match, you’re reaching a wider audience with a broader brush, there is little to no segmentation. If you insist on using broad match types, then I urge you to pay particular attention to the last point on negative keywords. +Modified +Broad Match; let’s say your phrase was “laptop repairs”. This phrase could prompt your ad to be displayed should someone search for “computer repair”, or “how to repair my computer” and so forth. However, if you use modified broad match using the plus symbol before the beginning of each word for example “+laptop +repairs” then the word laptop or a close variant would have to appear in the keyword phrase. Take into account that often close variants will include misspellings, singular/plural forms, abbreviations and acronyms where applicable. “Phrase Match” is my personal favourite, as it typically provides you with a greater level of control. When you add quotation marks to your chosen keyword, you are then essentially indicating to Google that your ads should only be displayed for your chosen phrase including close variations. For example, at 10to8, if we were to bid for the term “scheduling software”, then our advert may appear for people searching for “teacher scheduling software”, which would be acceptable, although, without negative keywords, which we get to in the last point, then we may be visible for “social media scheduling software”, which is not what we offer at 10to8. 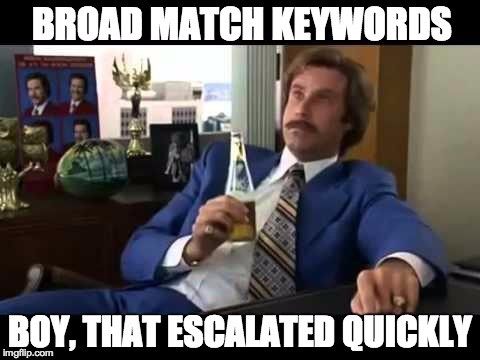 [Exact Match]; as the name suggests, your keyword will only trigger your ad to be displayed should that exact phrase be searched for or if the person searching uses a query containing the exact keyword. Exact match types can work well if you know the specific term you want to bid for and are happy to reach fewer people than you would with a phrase or the broader match types. Therefore, of course, the downside is that this approach and match type can be considered restrictive; you’ll likely receive fewer clicks. Another drawback is that exact match terms generally have higher associated CPC’s, as they are specific and well defined, and therefore often more competitive. Negative keywords are absolutely critical to the success of your campaign, without them you could be burning money on wasted click spend. Adding negative keywords to your AdWords campaign simply put will eliminate the possibility of your ad showing for irrelevant search terms. You can add specific negative keywords to each campaign, and even build a negative keyword list, which can be helpful if you wish to build and apply a library of negative keywords to campaigns over time. Do always take into account when adding negative keywords that adding the wrong one can impact the performance of your campaign. To decide upon which negative keywords will take a bit of common sense, coupled with data. To find the latter, once a campaign is up and running for a few days, you’ll be able to access the search terms report, which will outline all related phrases that triggered your ad to display, regardless if someone clicked-through or not. This data is like gold dust and will allow you to ensure that you have the most relevant negative keywords, which will save you money, and help generate that all-important ROI (Return On Investment).